For Bail Bonds in Las Vegas call 702-462-9200 or click here for Online Bail in 3 minutes or less. eBAIL is licensed by the NV Department of Insurance, accredited by the Better Business Bureau and authorized by the Courts of North Las Vegas, Las Vegas and Henderson to file Bail Bonds at their facilities. For unsurpassed customer service and professionalism you can count on eBAIL. The best Las Vegas Attorneys trust eBAIL with their clients Bail Bond needs. Our reputation speaks for itself just ask your Attorney and check with the BBB. Whatever your needs are eBAIL will do everything possible to accommodate you. Don’t just gamble your bail bonds needs on any company in a run-down office in a scary part of downtown. Come visit our beautiful office at 3100 E. Charleston Suite 108, right at the corner of Mojave, off the 95 Freeway. 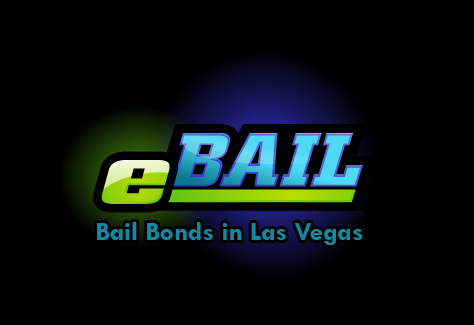 eBAIL will come to you, guarantees financing and provides professional, confidential and convenient Bail Bonds in Las Vegas also by phone or online. With eBAIL you can use your cell phone, IPhone, IPad, Android or any other mobile device to Bail Online in 3 minutes or less. You will be happy in choosing eBAIL as your Bail Bonds company in Las Vegas, guaranteed! eBAIL services the greater Las Vegas valley including North Las Vegas, Henderson, Green Valley, Summerlin, Spring Valley and also any State in the Union.